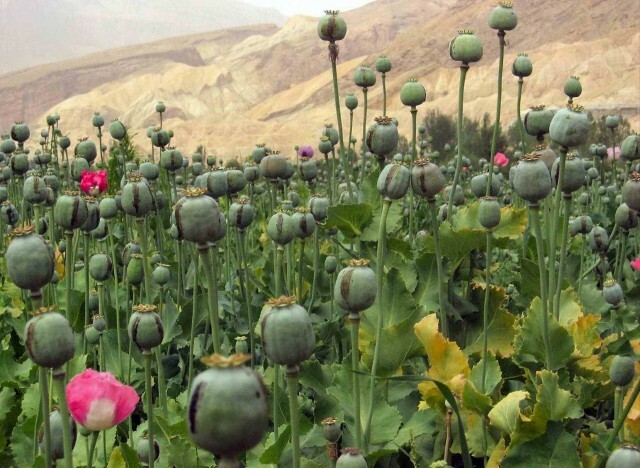 Opium, substance derived from sun-dried milky juice extracted from unripe opium poppy. Opium is a potent drug. Contains about 20 alkaloids. Previously this substance was used in the traditional medicine as a strong painkiller, because of the high content of morphine alkaloids. Soon, however, the medicinal use has stopped, because opium is very fast caused drug addiction. Today for medicine opium is the raw material for producing such preparations, such as morphine, codeine, papaverine, and others. The first mention of opium date back to 300 BC, This substance was used in Ancient Greece. Analgesic properties of opium have stated Hippocrates. Much later the use of opium raspostranitel the East, in countries such as Idia and China. Peak of the use of opium in Europe came at the end of the nineteenth century. In the works of Hippocrates (440-377 BCE) mentions the properties of medicinal plants 300. According to Wootton, Hippocrates has reference to a substance called “meconium”, which is attributed to drug action. More specific mention of the milky juice of the poppy can be found in Theophrastus (about 350 BC). In his use of “meconin” it indicates the opium and recommended for eye diseases and mental disorders. For the period of classical antiquity the beginning of a new era characterized by the cult of knowledge of practical medicine. Scriboni Largias, in his writing “De Compositiones Medicamentorum” (40 A. D.) describes in detail the method of collecting opium from poppy capsules, Walafrid Strabo (“the culture of gardens”) – the culture of poppy cultivation. The ancient Greek physician Dioscorides, who is considered the founder of pharmacology in Europe, in the book “Materia Medica” analyzes the activity of extracts of the whole plant, which he calls “meconium”, juice and capsules – “opium”. Attributed to Dioscorides and another name for opium – “dio-codion”. The drug under this name for a long time retained its importance and is mentioned in the “German Pharmacopoeia” (at the end of the XIX century). Description medical use of opium (opium) is found in the 37-volume “Natural history” of Pliny the Elder (I century BC). Of Celsus, and other Latin authors of the first century ad there is a description of the medication “the tears of the poppy” (papaveris Lacrimae). With the authority of the Roman physician Claudius Galen (129-201 ad), enthusiastically refers to opium, some historians attribute the extraordinary popularity of opium in Rome in the early first Millennium. Arab physicians later, but also actively integrating opium and its preparations in medical practice. Abu Ali Ibn Sina, known as Avicenna (980-1037), recommends opium in diarrhoea and diseases of the eye. Death of Avicenna is associated with an overdose of opium. Despite the Millennium-long use of opium poppy and its preparations, in any scientific treatise of the above made no mention of any toxic effects of opium and is given to the identification of possible drug abuse. Apparently, the level of development of medical knowledge of that time did not allow to fully understand the problem of drug abuse. It is also necessary to consider the factors of religious and ethical order that regulates the relationship between man and drugs and that it would be extremely important and interesting to trace to different socio-economic levels.